ON THIS PAGE FIND ALL YOU NEED TO KNOW TO PARTICIPATE IN PADDLE GEORGIA 2019! If you have not already signed an online American Canoe Association liability waiver, it’s time to do it! It take just minutes and saves time during registration on June 14 and 15 at Grassy Pond Recreation Area. Click on the link, sign the form and then respond to an e-mail you will receive to complete the liability waiver form process. 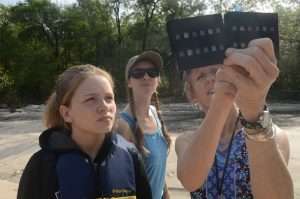 To receive text message alerts from Georgia River Network staff regarding Paddle Georgia 2019 please text GARIVERS to 84483 on your cell phone. This system will be used to communicate important information to participants in a timely manner in the event of an emergency or other situation in which information needs to be sent to all participants as quickly as possible. All participants must check in at our Grassy Pond Recreation Area campsite during the times listed above. 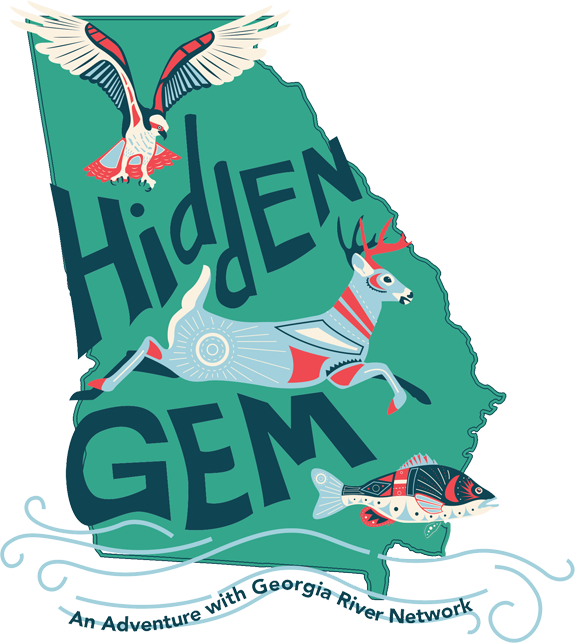 Upon check-in, you will receive your event packet that includes items like your Paddle Georgia 2019 T-shirt and boat decal, your on-river maps and descriptions and more. You may choose to drop your boat at our initial launch site (Troupville Boat Landing) prior to registering at Grassy Pond. An attendant will be at Troupville Boat Landing from 10 a.m. to 6 p.m. on June 14 and again from 7-8 a.m. June 15. Overnight security will be provided for the boats located at all our launch/take out sites. Note: Participants arriving earlier than 1 pm on June 15 WILL NOT be allowed to register early. June 14: 10 a.m. to 6 p.m.
All participants must drop off their boats during these times at our initial launch location, Troupville Boat Landing. Directions to Boat Drop Off from Grassy Pond Recreation Area: Return to Loch Laurel Road. Turn right and proceed 1.5 mile to Ga. 376. Turn right and proceed 0.8 mile to northbound entrance to I-75. Go north on I-75 13 miles to Exit 18 (Ga. 133 Valdosta/Moultrie). Turn left at exit on Ga. 133 and proceed 1.7 mile to Troupeville Road. Complete U-turn at this intersection and return 0.8 mile on Ga. 133 to entrance to Troupville Boat Landing on right. Directions to Grassy Pond Recreation Area from Boat Drop Off: At entrance to Troupville Boat Landing, turn right on Ga. 133 and proceed 1 mile to entrance ramp to I-75 southbound. Turn right and proceed 13 miles to Exit 5 (Lake Park/Ga. 376/Lake Blvd.) Travel west on Ga. 376 0.8 mile. Turn left on Loch Laurel Road and proceed 1.5 mile. Turn left on Grassy Pond Road and proceed 0.5 mile to entrance to Grassy Pond Recreation Area on the right. Registration will be in the conference room at the main camp office. Note: please disregard the “loop” around James Road at Ga. 133 and I-75 shown on the map. No need to make that loop. Just get on the highway! A basic paddling skills workshop will be held Friday, June 14 at Grassy Pond from 11 a.m. to 3 p.m. This workshop is free for interested Paddle Georgia participants and is designed for beginning paddlers and novices wishing to brush up on their paddling skills before the big event. Participants should begin arriving at the workshop site at 10 a.m. to complete registration and prepare boats. The workshop will begin at 11 a.m. at the boat ramp on Grassy Pond adjacent to the camp store. Please be prompt! If you are taking the workshop, please understand that you cannot also take the kick off day shuttle from Camp Suwannee to Grassy Pond Recreation Area. You will need to take the River’s End Shuttle or make your own shuttle arrangements. After the workshop, you will need to drop your boat at the Troupville Boat Landing Launch Site (see directions above). Paddle Georgia provides two options for getting you to the river and shuttled back to your vehicle—our Kick Off and Journey’s End shuttles, available for an additional charge. Please review the information to decide if you wish to utilize one of these shuttles. If you do not choose to utilize one of these shuttles, you are responsible for making your own arrangements for transport of your body and boat. Cost: $25 per person / $20 per boat. To register: If you did not register for one of these shuttles during your initial registration process, you may do so by returning to the registration site and logging in using your e-mail address and password. CLICK HERE TO ACCESS YOUR REGISTRATION. Once logged in you can make appropriate changes to your registration. Please Note: Paddle workshop and teachers participating in the Paddle Georgia Educator Scholarship Program cannot take the Kick Off day shuttle because the times conflict. Also, shuttles for Paddle Georgia Lite will not be needed. Lite paddlers participating June 15-16, will be shuttled back to Grassy Pond Recreation Area where their vehicles will be waiting. Lite paddlers participating June 20-21 likewise will be shuttled back to our Camp Suwannee campsite where their vehicles will be waiting (please see Paddle Lite Instructions below). Participants choosing this option will drive themselves, their boats, and their gear to Camp Suwannee in Dowling Park, Florida, our final campsite and park their vehicles in the assigned area. Here, charter buses will pick up participants and boats will be loaded on a trailers. Boats will be transported to our June 15 Launch Site where they will be left overnight under secure conditions. Participants will be transported to our Grassy Pond Recreation Area campsite where they will register, set up camp and meet other participants. Participants choosing this option will have access to their vehicles throughout our stay at Camp Suwannee. Upon completion of the journey on June 21, buses will carry participants to Camp Suwannee where participants can retrieve their vehicles and then drive to our final take out site to pick up their boats. IF YOU ARE PARTICIPATING IN THE PADDLE WORKSHOP OR THE GEORGIA EDUCATORS PROGRAM, DO NOT USE THIS SHUTTLE. YOU’LL MISS BOTH ACTIVITIES!!! The Kick Off Day Shuttle leaves the parking area at Camp Suwannee at 1:30 p.m. on June 14 and arrives at Grassy Pond Recreation Area at approximately 3:00 p.m. Participants should be at the Camp Suwannee parking area no later than 12:30 p.m. to begin loading boats and camp gear. PLEASE ARRIVE ON TIME!!! You must be pre-registered for the shuttle as space is limited. Driving Directions to Camp Suwannee from I-75 Southbound: From Exit 460 (FL 6/Madison/Jasper), travel southwest on FL 6 5.4 miles. Turn left on SW County Road 141 and proceed 8.2 miles to U.S. 90. Turn left on U.S. 90 and proceed 2.8 miles. Turn right on River Road and proceed 9.7 miles. Turn right on NW County Road 250 and travel 2.5 miles. Turn right on Dowling Park Drive and proceed 0.2 mile to entrance to Camp Suwannee on left. Camp Suwannee GPS Coordinates: 30.245848, -83.242246 For a map scroll down to “Campsite Information” section. Participants choosing this option will first drive their boat to the Troupville Boat Landing Boat Drop and Launch Site on June 14 or the morning of June 15. They will drop their boats there and then drive their vehicles and gear to Grassy Pond Recreation Area to register and set up camp (see directions above). On the morning of June 15, shuttle buses will carry all participants to the Launch Site. All boats must be dropped at the Launch Site between 10 a.m. and 6 p.m. on June 14 or between 7 and 8:00 a.m. on June 15. On the morning of Saturday, June 22, at 8 a.m. at Camp Suwannee, a charter bus will pick up participants and boats will be loaded on trailers. Both boats and participants will then be transported to Grassy Pond Recreation Area where participants’ vehicles will be waiting. If you put a boat on the shuttle, you must either be on the shuttle yourself or have made arrangements to have someone meet the truck and pick up your boat. Once boats and gear are unloaded from the truck at Grassy Pond Recreation Area, they will not be attended. The Journey’s End Shuttle leaves on June 22 at 8 a.m. from Camp Suwannee and arrives at Grassy Pond Recreation Area at approximately 9:30 a.m.. Participants should be ready to load on June 22 no later than 7:30 a.m.
Paddle Georgia encourages you to take advantage of the Paddle Georgia Meal Plan. However, on the evenings of June 15, 16 and 17 at Grassy Pond Recreation Area, a shuttle vehicle will run participants to and from nearby amenities for quick pick up of grocery items, meals at restaurants and other necessities. You should not expect to have time for a sit-down meal when utilizing the amenities shuttle, as it only runs for approximately 1.5 hours each evening. At Camp Suwannee, a grocery store and two restaurants are located within walking distance of the campsite. Please see “Campsite Descriptions” for a complete listing of nearby amenities for each campsite. In an effort to reduce the amount of waste created on our journey, please bring a Reusable Plate and Utensils. Dishwashing stations will be available at each meal so that you can easily clean these items. At check-in, you will receive a Georgia River Network Paddle Georgia commemorative cup. Write your name on it, and use it throughout the week. Coffee: Paddle Georgia sponsor Café Campesino will provide organic, fair trade coffee and tea each morning and evening for a fee. Purchase your coffee by the cup or pay one price for unlimited morning coffee on-site. Coffee bracelets are available for purchase directly from Café Campesino when you arrive. Breakfasts: Breakfasts will be served at 6:30 a.m. each morning. Breakfasts will include hot and hearty fare with a selection of breads, cold cereals, fruit and vegetarian/vegan options. Lunch: Sack lunches come with your choice of sandwiches along with chips, fresh fruit and dessert. You will pick up your sack lunch AT THE CAMPSITE following breakfast each morning. Make sure you bring a dry bag to keep your lunch safe on the river. Dinners: Dinners will be served at 6:30 p.m. each evening. Dinners include hot and hearty fare with vegetarian/vegan options. If you did not purchase a meal plan when you registered, you may do so by returning to the registration site and logging in using your e-mail address and password. CLICK HERE TO ACCESS YOUR REGISTRATION. June 14 Dinner: Roasted Chicken, roasted red potatoes, green beans, rolls, salad bar, banana pudding, lemonade and teas. Vegetarian Option: Rice and bean casserole. June 15 Breakfast: Scrambled Eggs, sausage, bacon, grits, fruit, assorted breads and cereals, orange juice, milk, non-dairy milk substitute for vegans. June 16 Breakfast: Scrambled Eggs, sausage, bacon, grits, fruit, assorted breads and cereals, orange juice, milk, non-dairy milk substitute for vegans. June 16 Dinner: Pulled pork, baked beans, corn, rolls, peach cobbler, lemonade and teas. Vegetarian Option: Vegetable kabobs over quinoa. June 17 Breakfast: Scrambled Eggs, sausage, bacon, grits, fruit, assorted breads and cereals, orange juice, milk, non-dairy milk substitute for vegans. June 17 Dinner: Burger and sausage bar, potato salad, corn on the cob, salad bar, lemonade and teas. Vegetarian Option: Black bean burgers. June 18 Breakfast: Scrambled Eggs, sausage, bacon, grits, fruit, assorted breads and cereals, orange juice, milk, non-dairy milk substitute for vegans. June 18 Dinner: North Florida style chicken & rice, green beans, parsley red potatoes, dinner rolls, garden salad, banana pudding, teas. Vegetarian Option: Red beans & rice. June 19 Breakfast: Scrambled eggs, grits, sausage links, turkey sausage, buttermilk biscuits, sausage gravy, bagels, fresh fruit, assorted cereals, yogurt, creme cheese, butter and jellies, orange juice concentrate, milk, non-dairy milk substitute for vegans. June 19 Dinner: Lasagna, vegetable medley, rolls, garden salad, cheesecake, teas. Vegetarian Option: Garden veggie Buddha bowl with rice, quinoa, chickpeas, garlic, craisins, red onion, basil, pepitas, spinach and vegan green goddess dressing. June 20 Breakfast: Pancakes; sausage links; turkey sausage; hot rolled oats with brown sugar, cream, raisins and granola; bagels, fresh fruit, assorted cereals, yogurt, creme cheese, butter and jellies, orange juice concentrate, milk, non-dairy milk substitute for vegans. June 20 Dinner: Chicken tinga tacos, black beans, yellow rice, garden salad, tres leches cake, teas. Vegetarian Option: Rican rice bowls with rice, black beans, avocado, mango, plantain chips, jalapenos, cilantro, red onion. June 21 Breakfast: Scrambled eggs, grits, sausage links, turkey sausage, buttermilk biscuits, sausage gravy, bagels, fresh fruit, assorted cereals, yogurt, creme cheese, butter and jellies, orange juice concentrate, milk, non-dairy milk substitute for vegans. June 21 Dinner: Traditional fish fry with catfish filets, hushpuppies, cole slaw, cheese grits, desserts and teas. We invite all Paddle Georgia participants to share their experience with others by inviting family and friends to the Journey’s End Celebration at Camp Suwannee. You can purchase additional meals for your guests via your online registration form. The day’s activities will include games, great food, the Vibe Kayak Ducky Derby, music from the Suwannee Riverkeeper’s songwriting competition winner and more! Paddle Lite paddlers will participate in only the first two days of our journey (June 15-16) or the last two days of our journey (June 20-21). Registration and boat drop off information is the same for both Paddle Lite June 16-17 and Thru-Paddlers. However, registration and boat drop off information for June 20-21 paddlers will be different. Please review the information below for Lite paddlers. Follow directions above for boat drop off and registration for thru paddlers. Upon finishing your journey on Sunday June 16 at the Clyattville Road Boat Ramp, a shuttle bus will carry you back to our Grassy Pond Recreation Area campsite where you can retrieve your vehicle and then return to the Clyattville Road Boat Ramp to retrieve your boat. Those paddling only on June 20-21 will need to drop their boats at the Suwannee River State Park launch site between 1-6 p.m. on June 19 or between 7-8 a.m. on June 20 and then proceed to Camp Suwannee for registration. 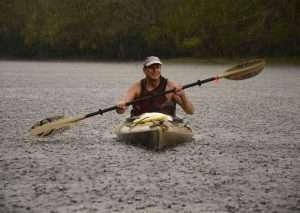 Registration for Lite paddlers will take place June 19 from 1-8 p.m. and June 20 from 7-8 a.m. at Camp Suwannee. Directions to Suwannee River State Park Boat Drop Off from I-75 Southbound: From Exit 460 (FL 6 Jasper/Madison), travel west on FL 6 5.4 miles. Turn left on SW Co. Road 141 and proceed 10.2 miles. Turn left on U.S. 90 and travel 3.3 miles to Stagecoach Road. Turn left, cross railroad and at 0.1 mile continue straight 0.4 mile on 201st Path to entrance to Suwannee River State Park. Boat ramp and boat drop off is located at the end of park road. An attendant will be there to accept boats beginning at 1 p.m. Directions to Suwannee River State Park Boat Drop Off from I-10 Westbound:From Exit 275 (U.S. 90) take the exit for U.S. 90. At U.S. 90, turn left and proceed 5 miles to Stagecoach Road. Turn right, cross railroad and at 0.1 mile continue straight 0.4 mile on 201st Path to entrance to Suwannee River State Park. Boat ramp and boat drop off is located at the end of park road. An attendant will be there to accept boats beginning at 1 p.m.
Driving Directions to Camp Suwannee from Suwannee River State Park Boat Drop Off: From Suwannee River State Park, return to U.S. 90. Turn right and proceed 0.5 mile. Turn left on River Road and travel 9.7 miles. Turn right on NW County Road 250 and proceed 2.5 miles. Turn right on Dowling Park Road and proceed 0.1 mile to entrance to Camp Suwannee on left. Driving Directions from Camp Suwannee to Suwannee River State Park Boat Drop Off: Return to Dowling Park Road. Turn right and proceed 0.1 mile. Turn left on NW County Road 250 and proceed 2.5 miles. Turn left on River Road and proceed 9.7 miles to U.S. 90. Turn right and proceed 0.5 mile. Turn left on Stagecoach Road. Cross railroad tracks and at 0.1 mile continue straight 0.4 mile on 201st Path to entrance to Suwannee River State Park. Boat ramp and boat drop off is located at the end of park road. Our campsite for the first four nights of our adventure is a Moody Air Force Base recreation area that is open to the public. The park sits on 500 acres adjacent to a beautiful 200-acre pond. Accommodations include tent camping, RV sites with full hookups, rental cabins, screened picnic pavilions, campstore with snacks and beverages, wading pool, beach volleyball, playground, boat rentals on the pond, walking trails and more. We’ll hold our programs and meals in a covered, screened pavilion and adjacent large tent as well as an air-conditioned conference room attached to the camp store. The conference room will also serve as our “beat the heat” room for those wishing for some cool air after a long day of paddling. The camp store also has a game room with pool and foos ball tables. Tent camping will be along the pond and on the shaded grounds between the pond and the RV camping area. “Indoor camping” will be inside a screened outdoor pavilion. Space in this pavilion is limited. Showers and restrooms will be available in cabins and in the restroom area for the RV camping area. Private rental cabins are also available, though as of April 1, 2019, all available cabins had been reserved. Check with Grassy Pond to be put on a wait list. Nearby Amenities: A complimentary amenity shuttle will operate from approximately 5-6:30 p.m. on June 15, 16, and 17, carrying passengers to the amenities noted below. A host of restaurants, hotels and other amenities are located 2.5 miles from Grassy Pond along the Exit 5 interchange on I-75 in Lake Park. Hotels include Days Inn 229-514-1274; America’s Best Value Inn 229-559-8111; Travel Lodge 229-559-0110; Hampton Inn 229-559-5565; Quality Inn 229-559-5181; and Motel 6 229-588-9355. Restaurants include McDonald’s, Pizza Hut, Chick-Fil-A, Waffle House, Zaxby’s, Taco Bell, Krystal, Domino’s Farmhouse Restaurant, Cracker Barrel, Rodeo Mexican, Lins Hibachi Chinese Restaurant and Wendy’s. Other amenities include Winn Dixie Supermarket, Family Dollar, Outlet Mall, Camping World of Valdosta and numerous convenience stores. Taxi Services in Valdosta include 244 Taxi 229-244-8294 and Five Star Taxi 229-559-9555. Map of Grassy Pond Recreation Area Campsite: Click on the icons within the map for additional information about the facilities. 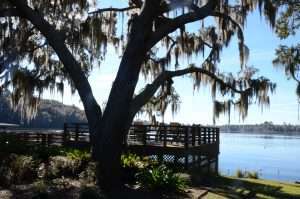 Our campsite for June 18-22 sits on the banks of the Suwannee in Dowling Park, Florida. Camp Suwannee is part of the larger Advent Christian Village, a retirement community and summer camp facility operated by the Advent Christian Church. 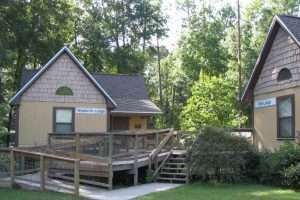 The facilities cover some 1,200 acres along the Suwannee with most amenities within walking distance of our main camp. We’ll hold our programs and meals in the Rumph Pavilion, a gym-like enclosed and air-conditioned meeting space. Rumph Pavilion will also serve as our indoor camping area. Tent camping will be in shady fields adjacent to the Rumph Pavilion. For an additional fee, participants can choose to stay in air-conditioned hostel-style bunkhouses. Hotel rooms at the Village Lodge adjacent to our campsite and RV campsites located 0.4 mile from our campsite are also available. Reservations for the Lodge and RV campsites should be made through the Advent Christian Village at 386-658-5200 or 800-371-8381. Click here to visit the Camp Suwannee website. Showers and restrooms will be available at the Rumph Pavilion and in hostel-style bunkhouses. A swimming pool will be available to Paddle Georgia participants from 3-5 daily. The pool is located 0.6 mile from the campsite. Nearby Amenities: Because amenities are located within walking distance of our campsite, no amenity shuttle will be operated during our stay at Camp Suwannee. However, accommodations will be made for those needing medication at the pharmacy located 0.9 mile from the campsite. A small grocery store, The Village Cafe (restaurant), Loping Gopher (short-order restaurant) and laundromat are located within walking distance of the campsite. The village pharmacy is located 0.9 mile from the campsite. Convenience stores, a Family Dollar and Dollar General are located within 0.7 mile of the campsite along NW County Rd. 250. Large supermarkets, department stores and additional restaurants are located 16 miles east in Live Oak. Map of Camp Suwannee Campsite: Click on the icons within the map for additional information about the facilities. Driving Directions to Camp Suwannee from I-75 Southbound: From Exit 460 (FL 6/Madison/Jasper), travel southwest on FL 6 5.4 miles. Turn left on SW County Road 141 and proceed 8.2 miles to U.S. 90. Turn left on U.S. 90 and proceed 2.8 miles. Turn right on River Road and proceed 9.7 miles. Turn right on NW County Road 250 and travel 2.5 miles. Turn right on Dowling Park Drive and proceed 0.2 mile to entrance to Camp Suwannee on left. Camp Suwannee GPS Coordinates: 30.245848, -83.242246 A google map of these driving directions is available under the Paddle Lite Information above. The Georgia River Network merchandise and registration desk will be open from 7-8:30 a.m. and 4:30-8:30 p.m. daily. Lights out and quiet hours are from 10 p.m. to 6:00 a.m. daily. Evening Program: 7:30-9:00 Welcome, Safety Briefing, Recognition of Paddlers, 500, 1000 and 1500 sticker presentations and More! Duck Race 5:30 Ducks Dropped and The Race is On! Throughout the week, Georgia River Network and Suwannee Riverkeeper will provide numerous opportunities to learn more about the Withlacoochee and Suwannee rivers and the land and culture surrounding it. Please review the following information about special tours and programs and plan on participating! Live Auction June 15 7 p.m.
Our live auction has become a Paddle Georgia favorite, and what makes it the most fun is that Paddle Georgia participants donate products, services or arts and crafts for the auction. This means we all get to learn a little bit about what you do when you are not paddling. Are you a potter? Donate some hand-turned bowls. Do you have a mountain or beach rental that you’d be willing to offer a weekend getaway? Are you a CPA? Donate a tax return filing. Are you a mortician? Donate an embalmment or crematory services. See where we are going with this? If you’d like to donate an item for the live auction, please e-mail Dana Skelton at dana@garivers.org with a brief description and an estimated retail value. Georgia Adopt-A-Stream instructors will offer chemical water quality monitoring workshops during Paddle Georgia. The training begins Monday Night, June 17, with a 1.5 hour orientation followed by on-river training Tuesday June 18. During the on-river training, instructors will stop at several locations to demonstrate chemical monitoring protocols, collecting and testing water quality samples. By participating in this training, you’ll have the opportunity to assist in Georgia Adopt-A-Stream’s assessment of the health of the Withlacoochee and Suwannee rivers and their tributaries the remainder of the week. When you return home, you’ll have a greater understanding of rivers and streams, and you’ll be certified to conduct routine water quality monitoring on a local waterway. Michelle McLendon Green, the “Paper-Clip Lady,” is back by popular demand! Throughout the week, Michelle will be organizing special activities in camp for our youth. All ages can participate! Look for more details during registration at Grassy Pond Recreation Area on June 14! Madison Blue Springs State Park June 18 1-4 p.m.
Voted one of the country’s best swimming holes, this beautiful blue hole spring that is 25-feet deep, 82-feet wide and runs 150 feet to the Withlacoochee River. During our paddle trip, you can park your vessel along the river bank and wade into the spring run and pool. 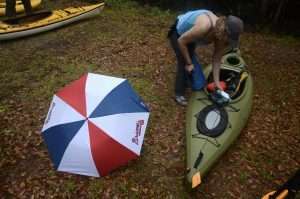 Our annual Paddle Georgia river cleanup will take place on Wednesday, June 19, during our 10-mile journey from Madison Springs Boat Ramp to Suwannee River State Park. Bags and other materials will be provided, and as always, great prizes for the participants in multiple river trash categories courtesy of the Trash Queen, Bonny Putney. Camp Suwannee/Advent Christian Village History Tour June 20 5 p.m.
Take a walking tour of Camp Suwannee and learn about the village’s interesting history as a children’s home and how it became Florida’s first retirement community. Lafayette Blue Springs State Park June 21 12-3 p.m.
Like Madison Blue Springs, this is a first magnitude spring with a breathtakingly beautiful pool and spring run that features a natural limestone bridge. During our paddle trip, you can park your boat at the state park boat ramp and then walk to the pool for a swim. Get quacking! 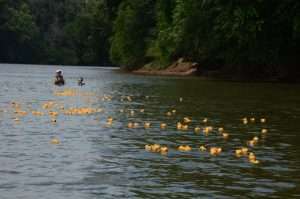 All proceeds from the duck race benefit Georgia River Network. If you would like to sign up to retrieve ducks at the finish line, sign up when you check in at registration. Think these folks are having fun…it’s only because they participated in the Paddle Georgia Canoe-a-thon! Each year dozens of Paddle Georgia participants and Georgia River Network supporters raise more than $20,000 for river protection and water trails projects through our Canoe-a-thon. This year, thanks to the support of several key major donors, we have the opportunity to raise $60,000 through the Canoe-a-thon. If our Paddle Georgia participants raise at least $30,000 this year, these donors will match that total up to $30,000. We need your help to make our 30 FOR 30 CAMPAIGN a success. Please consider participating in the Canoe-a-thon and get us to our $30,000 goal. Simply solicit donations to Georgia River Network from friends, family and business associates. Top fundraisers win prizes including new kayaks from The Outside World and Cedar Creek Park & Outdoor Center as well as other great merchandise from our other Paddle Georgia sponsors. CLICK HERE TO SET UP YOUR ONLINE FUNDRAISING PAGE AND GET STARTED! PADDLE GEORGIA POLICIES, SAFETY CONSIDERATIONS, WHAT TO BRING, WHAT NOT TO BRING AND MORE! All participants must sign a Medical and Emergency Contact Information sheet and a Waiver of Claims and Release of Liability form. Parents must sign for children under the age of 18. (These forms will be sent in the information packet. All participants must possess basic paddling skills. Registration and meal fees may be reimbursed prior to May 31. Refunds will deduct a 10% processing fee. No refunds are possible after May 31. What Should I Bring? (here’s a checklist of essential items!) First Aid Kit; Sunscreen; Necessary Medication; Water Bottles (at least 3 quart bottles for each person); At least two paddles for each boat; Flexible mindset; Tent or other shelter, sleeping bag or sleep sack and sleeping pad (if you are camping); proper footwear for river and land; rain gear; whistle for signaling emergency. Here’s a checklist of suggested optional items: Labels with your name for your boat, luggage, and other personal belongings; Ground Cloth; Reusable Plate/Utensils (wash stations provided); Clothing for weekend; Waterproof Stuff Sacks for Camp Gear; Waterproof stuff sack or case for lunch and other on river items (like dry clothing); Clothes/Swimsuit; Money to tip the caterers; Insect Repellent; Towel/Wash Cloth; Soap, Toothpaste, Toiletries; Flashlight/Head Lamp; Book; Camera; Watertight cases for Boat; Fishing Gear/License; Duct Tape; Sponge; Bailer; Snacks for river and camp; Hat or Cap (don’t forget to get your Paddle Georgia hats! ); Bug netting; Extra Length of Rope; Ear Plugs (Some of our paddlers snore! ); Sleep Shades (Lights out at 10 p.m.); Laptop & Electronic Communication Devices (optional and frowned upon! ); Water Guns/Cannon (optional and encouraged! ); Lightweight long sleeved pants or shirts for bug protection in the evening; Layered non-cotton clothing. At least two paddles for each boat. Every canoe should have two lines, a bow line and a stern line 8-10 feet each in length secured in such a way that they are readily accessible, but cannot come loose accidentally. Loose rope increases the risk of entanglement in the event of capsize. Kayaks should have grab loops at both bow and stern. An extra throw rope in case of emergencies should be stored safely in each boat. Attach a whistle to your life vest or body to signal for help in case of emergency. Waterproof matches or other fire source in waterproof covering. First Aid Kit—while boats will be on the river with basic first aid supplies, each vessel should bring a first aid kit stored inside a waterproof bag or container. Rain Gear—Be prepared to get wet and potentially cold. Every participant should have access to a lightweight rain jacket and rain pants in a waterproof bag or container. Change of Clothes—Be prepared to take an unexpected swim. Every participant should have access to a dry change of clothes kept in a waterproof bag or container. Appropriate footwear that will protect your feet from unseen underwater hazards and permit you to walk comfortably on land when launching and taking out and in the event that you must exit the Paddle Georgia course. Sunscreen—Sunburn might be the trip’s biggest hazard. Water Bottle or Three —At least three quarts per person per day is recommended. Bring sufficient water for the day’s paddle for everyone in your boat. Also consider bringing electrolyte packs or powdered sports drink mix to add to your water to avoid dehydration. Drinking water is not available along the Paddle Georgia route and no drink is provided w/ sack lunches. Many paddlers will fill one bottle with water and another with sports drinks (provided each morning for you to fill your own bottles). Food—There is no access to food along the Paddle Georgia route. Sack lunches are provided to participants. No drink is included with the lunch. Dry Bag or Ziploc—Bring a waterproof bag to protect items you don’t want to get wet, including your lunch. Paddle Georgia participants should be aware that this canoe trip is not a commercially-guided trip. While Georgia River Network and Paddle Georgia staff will be available on the river during each day’s paddle and participants with medical and/or First Aid training will be identified, we cannot personally ensure the safety of all participants. Unlike a commercial trip in which paid guides direct you through each bend of the river, Paddle Georgia is designed to be your adventure, and as such, you are responsible for your own safety. All participants are assuming risks (some of which are outlined below) while participating in Paddle Georgia. Skill Level Required: Paddle Georgia is suitable for novice paddlers. Paddlers should have a basic understanding of paddle strokes, should be able to control their vessels in moving water and be capable of self-rescue in moving or deep water. If you are new to paddling, we highly recommend that you take a canoe/kayak paddling course prior to the trip. There are no shoals or rapids on this section of the Satilla. It is a Class I flatwater paddle. For a reminder of basic paddling safety practices, watch this American Canoe Association Video. Strainers—Strainers are branches, trees, vegetation or other partially or totally submerged obstacles in the river’s current often found along the river’s edge. These hazards allow only water to pass through freely. The current will pull anything else down, plastering it into place, similar to the action of a kitchen colander. It is best to approach submerged trees or logs along the river bank from the downstream side to avoid having the current pin your boat against the obstacle or flipped by the force of the water. You should also avoid grabbing on to low hanging branches of partially submerged vegetation as this action can often cause your boat to capsize. To avoid a multi-boat pile up, leave enough room between boats to allow each boat to safely navigate around these obstacles. Weather—Strong thunderstorms and high winds are not uncommon. In the event of inclement weather that includes the risk of lightning, paddle to shore, secure your boat and find cover under a dense stand of small trees. Avoid open areas, especially open areas with solitary trees, and avoid gathering in large groups. By dispersing yourselves over a large area, you reduce the risk of lightning striking numerous individuals at one time. Squatting, with your feet on a personal flotation device or seat cushion, is a good idea when in the midst of a thunderstorm (while on solid ground—not in your boat!). Sun and Heat—Hats and appropriate sun screen are recommended. If you get too hot, the river comes with built in air conditioning – get in and cool off. You should carry at least three quarts of water each day to avoid dehydration. Sports drinks with electrolytes are also recommended. The first two days are usually the most difficult as we acclimate from spending lots of time in air-conditioned buildings to spending all day in 80-90-degree heat. Prepare by drinking lots of fluids in the days leading up to the trip. Water Temperature—The combination of cold water and a cold afternoon thunderstorm raises the risk of dangerous changes in body temperature. Be prepared with rain gear and layered clothing that stays warm even when wet (avoid cotton). Water Quality – Due to a variety of conditions, water quality can vary throughout the entire Satilla River and organisms that cause illness may be present. Swimming and submersion in the water increase the risk of contracting water-borne illnesses. 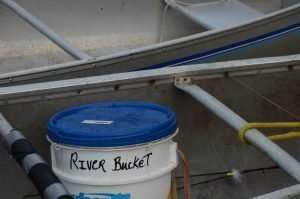 Ingesting river water should be avoided and cuts and sores should be kept out of the water and treated if exposed. Trash—Unfortunately, the Withlacoochee and Suwannee rivers collect refuse from surrounding communities. Proper footwear and exercising caution can prevent unnecessary injuries. Participants should wear sandals or shoes that provide adequate protection from broken bottles, rusted appliance parts and tin cans and anything else you might find at your local landfill. Venomous Snakes—The Withlacoochee and Suwannee river and the land surrounding it are potential habitats for three venomous snakes—rattlesnakes, water moccasins and coral snakes. If you encounter any snakes, simply leave them alone. Should you have the misfortune of being bitten, remain calm and get medical assistance as quickly as possible. Bites from these venomous snakes are rarely fatal, given proper medical attention. At any given moment on this trip you will not be more than a few hours from a hospital. Terra Firma—On their journey, the river winds past varied terrain. Please step carefully when paying visits to land. The limestone geology of the area creates many sharp-edged and irregular rock formations. Close toed water shoes are recommended. Flip flops should not be worn on the river. Your Fellow Paddlers—This is a journey involving many individuals with varying degrees of skill level. Space yourselves so that you do not interfere with one another when maneuvering around obstacles. Pileups on the river can be just as dangerous as those that occur on interstate highways. What do I do if I capsize? On slow moving water, stay with your boat and swim it to shore or shallow water where you can dump the water and right your vessel. It floats even when full with water and can support you if you become tired. Make sure your belongings are secured to your boat to keep from losing them in the event of a capsize. Your fellow buddy boaters can assist in recovering any belongings and help you right your boat.In fast-moving water or rapids, get away and upstream from your boat until you reach slower moving water. Float on your back, feet downstream. Don’t try to stand in fast-moving water. Rocks or other objects can trap your feet and the force of the water can hold you under. Moving canoes filled with water can pin or crush paddlers against rocks or trees. In the event of inclement weather…As noted above, thunderstorms are not uncommon, however, usually these afternoon-variety showers do not last long. If you are on the river during a storm event, take appropriate cover as described above, wait out the storm and continue your journey when it appears safe. Protective facilities along the river for large groups are not available. We will make every effort to ensure that each day’s paddle is completed in full. However, if all-day dangerous weather is predicted, Paddle Georgia will be cancelled for the day. Boats will be shuttled to the day’s next put-in point. Rain alone does not constitute dangerous weather. All participants are expected to paddle rain or shine, or they may make their own arrangements for moving themselves and their boats to the next put-in and campsite. Exceptions may be made for families paddling with small children. Swimming…Swimming is permitted with PFDs, but of course, swim at your own risk. Water quality on this journey varies due to point and non-point source pollution. Water quality is generally at its least healthy immediately following rain events—this is especially true downstream of urban areas. Private Property…As you will see, the Withlacoochee and Suwannee take you through many a neighbor’s backyard. Private property must be respected. It is illegal to trespass onto someone’s property, and it is an offense that is prosecutable by law. You may not enter someone’s property unless you have first received permission. At least one rest stop, with portable toilet facilities and/or restrooms will be available at the approximate midway point of each day’s paddle, therefore it is imperative that you make use of bathroom facilities when they are available. If nature calls, please use a camp trowel and cover all human waste appropriately or carry a sealable plastic bag to remove your waste with you. Communication in the Event of Emergency…There will be cellular phones on the river at all times (one with the lead boat, one with the sweep boat and others in between). In the event of an emergency in which a person must be evacuated off the river as quickly as possible, call 911. Using your Paddle Georgia map or other map, provide your location on the river. Identify nearest evacuation point and communicate that information to 911. After calling 911, contact Georgia River Network staff (numbers will be distributed). Stop: Potential Danger Ahead—Form a horizontal bar with your paddle and outstretched arms above your head. Those seeing this signal should pass it back to others in the party. Participants should wait for the “all clear signal” before proceeding. All Clear—Form a vertical bar with your paddle, raising your arm and paddle above your head. The paddle blade should be turned flat for maximum visibility. This means the trip can proceed. To signal direction or preferred course through an obstacle, lower the all clear to a 45 degree angle toward the side of the river with the preferred route. Help/Emergency—Wave paddle over your head and give three long blasts on your whistle. Whistles are best carried attached to your life vest. This means other paddlers should assist the signaler as quickly as possible. I’m OK—Holding your elbow out to the side, repeatedly pat the top of your head with your hand. This signals that you are not hurt and do not need assistance. GEORGIA RIVER NETWORK STAFF, DRIVING DIRECTIONS TO LAUNCH SITES, CAMPSITES, ETC. Georgia River Network & Paddle Georgia Staff: These hardworking folks will be on hand to make sure your trip is the best that it can be. If you have questions, seek out one of these individuals! GRASSY POND TO JUNE 15 LAUNCH SITE AT TROUPVILLE BOAT LANDING: Return to Loch Laurel Road. Turn right and proceed 1.5 mile to Ga. 376. Turn right and proceed 0.8 mile to northbound entrance to I-75. Go north on I-75 13 miles to Exit 18 (Ga. 133 Valdosta/Moultrie). Turn left at exit on Ga. 133 and proceed 1.7 mile to Troupeville Road. Complete U-turn at this intersection and return 0.8 mile on Ga. 133 to entrance to Troupville Boat Landing on right. GRASSY POND TO JUNE 16 LAUNCH SITE AT SPOOK BRIDGE: Return to Loch Laurel Road. Turn right and proceed 1.5 mile. Turn left on Ga. 376 and proceed 4.9 miles. Turn left on Ga. 31 and proceed 0.5 mile. Turn right on Main Street in Clyattville and proceed 0.4 mile. Turn right on Old Clyattville Road and travel 1.2 mile. Turn left on Ousley Road and proceed 6.4 miles. Turn left on Old Quitman Hwy and proceed 1.3 mile to end of road. GRASSY POND TO JUNE 17 LAUNCH SITE AT CLYATTVILLE ROAD: Return to Loch Laurel Road. Turn right and proceed 1.5 mile. Turn left on Ga. 376 and proceed 4.9 miles. Turn left on Ga 31 and proceed 0.5 mile. Turn right on Main Street in Clyattville and proceed 5.3 miles to entrance to boat ramp on left. GRASSY POND RECREATION AREA TO JUNE 18 LAUNCH SITE AT BELLVILLE ROAD: Return to Loch Laurel Road. Turn left and proceed 4.5 miles to Bellville Road. Turn right and proceed 0.4 to entrance to boat ramp on left. CAMP SUWANNEE TO JUNE 19 LAUNCH SITE AT MADISON BLUE SPRINGS BOAT RAMP: Return to Dowling Park Drive. Turn right and proceed 0.2 mile. Turn right on NW County Road 250 and proceed 2.5 miles. Turn right on N County Road 53 and proceed 1.3 miles. At 1.3 miles bear right at fork on SE County Road 255 and continue 10.9 miles to Lee. At U.S. 90, turn right and proceed 0.5 mile. Turn left on Northeast Old Blue Springs Road and travel 0.2 mile. Turn right continuing on Northeast Old Blue Springs Road for 2.8 miles. Turn right on Lantana Street and proceed 1.2 miles. Turn left on NE Juniper Driver and proceed 1 mile. Turn right on River Park Road and proceed 1.2 mile to entrance to boat ramp. CAMP SUWANNEE TO JUNE 21 LAUNCH SITE AT DOWLING PARK BOAT RAMP: Return to Dowling Park Drive. Turn right and proceed 0.1 mile. Turn right on NW County Road 250 and proceed 0.4 mile to entrance to boat ramp on right. CAMP SUWANNEE TO HAL ADAMS BRIDGE BOAT RAMP JUNE 21 TAKE OUT SITE: Return to Dowling Park Drive. Turn right and proceed 0.1 mile. Turn left on NW County Road 250 and proceed 5.6 miles to 193rd Road. Turn right and proceed 2 miles. Turn left on 128th Street and proceed 5 miles. Turn right on FL 51 and proceed 5.7 miles to entrance to boat ramp area on left. JUNE 15 TROUPVILLE BOAT RAMP TO SPOOK BRIDGE TAKE OUT: Return to Ga. 133. Turn right and travel 0.8 mile. Turn right on James Road and proceed 2.6 miles. Turn right on U.S. 84/U.S. 221 and proceed 6 miles. Turn left on Ousley Road and proceed 0.3 mile. Turn right on Old Quitman and proceed 1.2 miles. JUNE 16 SPOOK BRIDGE TO CLYATTVILLE ROAD TAKE OUT: Return to Ousley Road. Turn right and proceed 6.6 miles. Turn right on Rocky Ford Road and proceed 2.4 miles. Turn right and proceed 0.6 mile to entrance to Clyattville Road boat ramp. JUNE 17 CLYATTVILLE ROAD TO BELLVILLE ROAD TAKE OUT: Return to Clyattville Road. Turn right and proceed 11 miles to NW 16th Avenue. Turn right and proceed 2.7 miles. Turn right on Bellville Road and proceed 0.5 mile to entrance to boat ramp area on left. JUNE 18 BELLVILLE ROAD TO MADISON BLUE SPRINGS BOAT RAMP TAKE OUT: Return to Bellville Road. Turn left and proceed 3.4 miles. Turn left on NE Dusty Miller Avenue (FL 255). Proceed on FL 255 3.6 miles. Turn left, continuing on FL 255, and proceed 1 mile. Turn right continuing on FL 255 4.5 miles. Turn left on FL 36 and proceed 2.6 miles. Turn right on County Road 413 and proceed 0.4 mile toward Nestle Waters facility. Turn right, continuing on County Road 413 0.2 mile. Turn left on Timber River Road and travel 0.8 mile. Where road forks, bear left on River Park Road and continue 1 mile to boat ramp. JUNE 19 MADISON BLUE SPRINGS BOAT RAMP TO SUWANNEE RIVER STATE PARK TAKE OUT: From boat ramp take River Park Road 1.2 mile. Turn left on Juniper Drive and proceed 2.2 mile. Turn left on County Road 413 and proceed 1 mile. Bear hard left on Payne Road and continue 1 mile. Turn right on SE 208th St and proceed 1.2 mile. Turn left on U.S. 90 and proceed 5 miles. Turn left on Stagecoach Road, cross railroad tracks and at 0.1 mile continue straight on 201st Path and at 0.4 mile reach entrance to state park. JUNE 20 SUWANNEE RIVER STATE PARK TO DOWLING PARK BOAT RAMP TAKE OUT: Return to U.S. 90. Turn right and proceed 0.5 mile. Turn left on River Road and travel 9.7 miles. Turn right on NW County Road 250 and proceed 2.5 miles. Turn right on Dowling Park Road and proceed 0.1 mile to entrance to Camp Suwannee on left. JUNE 21 DOWLING PARK BOAT RAMP TO HAL ADAMS BRIDGE BOAT RAMP TAKE OUT: From entrance to boat ramp, turn left on NW County Road 250 and proceed 6 miles to 193rd Road. Turn right and proceed 2 miles. Turn left on 128th Street and proceed 5 miles. Turn right on FL 51 and proceed 5.7 miles to entrance to boat ramp area on left. Return to Loch Laurel Road. Turn left and proceed 3.4 miles. Turn right on Bellville Road and travel 3.7 miles. Turn left on NE Dusty Miller Avenue (FL 255) and proceed 3.7 miles. Turn left, continuing on FL 255 1 mile. Turn right, continuing on FL 255 20.2 miles. Turn left on NW County Road 250 and proceed 2.6 miles. Turn left on Dowling Park Drive and proceed 0.1 mile to entrance to Camp Suwannee on left.